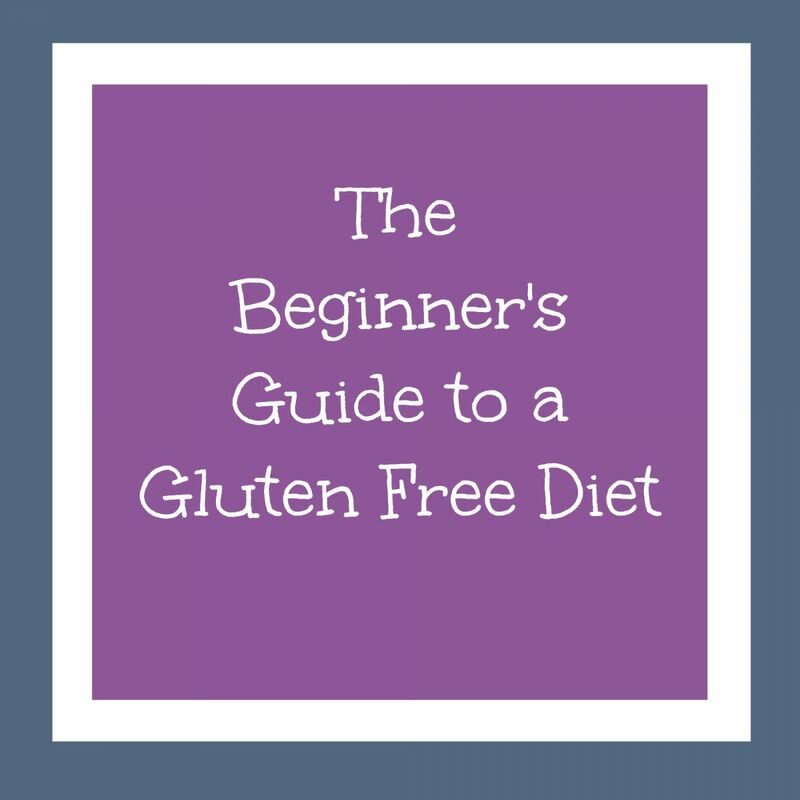 If you're a new gluten free foodie, then you need this Beginner's Guide to a Gluten Free Diet. It doesn't matter why you chose to go gluten free; it only matters how you're going to go gluten free. Following a strict gluten free diet is much more than cooking gluten free, you'll need to make a few lifestyle changes, too. Here at FaveGlutenFreeRecipes, we're here to help. We found Jen Cafferty, the founder and CEO of The Gluten and Allergen-Free Expos. She was answered all of our questions, and now we are sharing her information with you. Sit back, relax, and read these gluten free tips. If you have any other questions, please leave us a comment. We'll be sure to answer your question as soon as possible. Do you worry about cross contamination? Then you need to check out these 10 Ways to Prevent Cross Contamination. 1. Instead of using a dozen different stores to satisfy all of your gluten free needs, you need to find 1 or 2 stores that meet a lot of your needs. 2. What you can't find in stores, you should buy online. 3. Talk to the store manager. Ask them to stock your favorite gluten free products. 4. It's often expensive to shop gluten free. If you're on a tight budget, you should cook more homemade meals and buy less pre-packaged gluten free products. 5. When your favorite gluten free products go on sale, stock up! Buy a dozen or so. 1. Go to the places that make you feel safe. 2. When you go to a new restaurant, ask to speak to the chef or manager. Be sure to let them know what you need, and ask what their gluten free policies are. If you do not feel comfortable with what they tell you, then you can certainly leave and find another gluten free-friendly restaurant. 2. Check out Jen Cafferty's handy restaurant app, Find Me Gluten Free. You can search for restaurants near you. On the app, there are user-submitted reviews that will let you know if they had a good or bad gluten free experience at a restaurant. You can also add your own reviews to help out the gluten free community. 1. If your child is going to a friend's birthday party, you'll need to talk to the parents that are organizing the event. Let them know that your child is gluten free, and they need to watch what they eat and avoid cross contamination. 2. If the birthday party is providing pizza, then you should send your child with or offer to pay for a separate gluten free pizza. 3. Because your child will most likely not be able to eat the birthday cake, send them with their own gluten free cupcake. This sweet treat will ensure that your child isn't left out of the birthday festivities. 1. Call ahead. Contact your hotel, especially if your hotel has a continental breakfast. You'll also want to contact nearby restaurants to plan out a few options before you hit the road. Then, you can relax and enjoy your vacation without having to worry too much. 2. Take a travel bag of food wherever you go. This is especially important when you fly. Typical airport food is not gluten free, so you'll want to plan ahead. You wouldn't want to go hungry! 3. When you get to where you're going. Hit up the local grocery store, and grab some gluten free foods for you and your family. 4. Do you remember that app, Find Me Gluten Free, which we mentioned above? It's an especially handy tool when you're traveling because it works all around the world. 1. Gluten free support groups are absolutely essential. You can find one in your area, or you can find a support group online. Either way, you'll love to bounce ideas and questions off of one another. There are also gluten free support groups for kids! 1. If your household isn't entirely gluten free, then you need to make sure that everyone is on board with your new lifestyle. 2. You'll need to grab a set of gluten free-specific kitchen tools to keep you and your gluten free family members safe. Here's a list of kitchen tools that are the most common causes of cross contamination. 3. You can buy the above tools in all one color to help keep the gluten free tools separated from the everyday tools. 4. Parchment paper is your best friend! 5. When cooking both gluten free food and gluten-filled food, cook the gluten free food first. 6. When baking both gluten free food and gluten-filled food, place the gluten free food on the top shelf of your oven. 7. Peanut butter, mayonnaise, jelly, jam, and other spreadable products are highly susceptible to cross contamination. You should have a gluten free set and an everyday set of these products. Or, you can purchase the squeezable containers. 8. In order to keep yourself organized, assign a pantry shelf as the designated gluten free shelf. Want even more gluten free tips and tricks? Check out this handy Guide to Understand Gluten Free Flours.